There were reports in the energy markets yesterday that a Saudi Arabia official had said that the amount of oil supplied this month had actually fallen. The news provided a boost to crude futures which were already on the move following encouraging economic data from Europe and ongoing strength from Corporate America. This range of positive factors saw WTI add $1.48 to $81.87 per barrel, recovering a large chunk of the previous day's losses. Amid lessening concerns regarding a slowdown in global economic growth, demand for gold as a safe haven saw renewed weakness. At the same time, investors favoured the US dollar, pushing the precious metal $9.5 down yesterday to $1,231.8. WTI crude oil fell sharply yesterday, tumbling $2.24 to $80.34 per barrel, the weakest level seen in more than two years. The main culprit was undoubtedly the weekly US oil inventories data which indicated a much larger than forecast build in stockpiles, with a rise of 7.1 million barrels vs 3 million barrels expected. On top of that, the US dollar strengthened, which exacerbated the sell off. With an unexpected rise in US inflation, the increased speculation over a Fed rate hike benefited the dollar yesterday, putting downside pressure on gold prices. The precious metal closed $7.9 lower at $1,240.8, and it seems that demand for the asset as a store of wealth and a hedge against turmoil will face competition from heightened demand for the dollar. With Chinese industrial production surpassing expectations, the GDP figures also came in slightly higher than predicted. The data signalled the possibility of stronger fuel demand which sent crude prices higher; WTI rallied by $0.67 to $82.54 per barrel. Later on today, the US will release its weekly inventories report which is predicted to show that there was a build of 2.8 million barrels last week. Ahead of the Hindu festival of Diwali, appetite for jewellery increased which in turn gave strength to precious metal prices, with gold adding $2.9 to $1,249.3 yesterday. 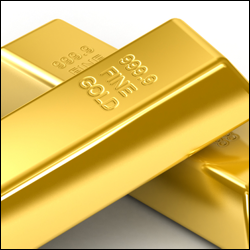 The yellow metal was also supported by delayed estimates for the timing of a rate hike in the US. WTI crude resumed its slump yesterday, losing $0.55 to $81.85 per barrel as weak oil demand continues to take its toll. Crude oil prices have tumbled by more than 20% since June, helped by plentiful supplies and production increases from the likes of Libya, Iraq and the US. All eyes are now on the $80 mark and a test is expected soon. As world growth concerns ensure that the Fed is likely to put any rate hike plans on hold, gold investors spotted the opportunity and jumped back in. They pushed the precious metal $7.9 higher to $1,246.7, with its outlook changed for the better given the growing pressure on the ECB to take more decisive action. Faced with the danger of a downward acceleration in oil prices, we have seen reports that Saudi Arabia and Kuwait have started to cut their output. Initially, it was suggested that OPEC nations would fight over market share rather than reduce production. Could it be that the situation is getting a tad desperate? Or maybe they want to test how much of a game changer US shale is to the industry? Either way, WTI crude closed rather flat around $82.40 per barrel, with no relief rally in sight so far. A stronger US dollar and sharp gains in equities across the board captured investors' interest, hurting gold prices instead. The precious metal retraced $1.2 to $1,237.7 on light profit taking but its short-term trend remains fairly bullish.